Mania D (1999) The Bilzingsleben site: Homo erectus, his culture and his ecosphere. In: Ullrich H (ed) Hominid evolution: Lifestyles and survival strategies. Archaea, Gelsenkirchen/Schwelm, pp 293-314 Mau A (1899) Pompeji, its life and art. Human evolution may be usefully considered as part of the evolution of the larger mammalian fauna of the Tertiary and Quaternary periods. When viewed in this way, the dispersion of the hominins, and the questions of timings and directions, can be examined in the context of movements in other mammalian groups without being treated as special case with a unique set of causes. 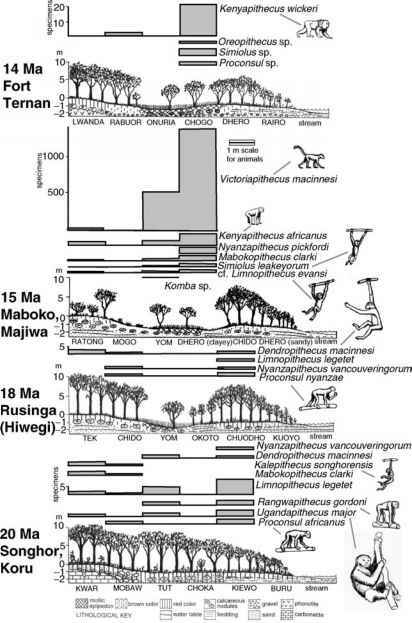 Earliest migrations by Primates into Africa during the Oligocene and Miocene were accompanied by numerous other taxa that were capable of crossing the closing gap between continents. While the later evolution of the Hominidae may well have taken place in Africa, the dispersion patterns of the dryopithecine apes during the early Middle Miocene into Eurasia and then back into Africa toward the Late Miocene suggest a rather wider ancestry for humans and the living African apes. Earliest movements across the Gibraltar Straits during the Pliocene and Pleistocene can be ruled out for any terrestrial mammals, and while a Late Pliocene dispersal across the opening Bab-el-Mandeb region of the southern Red Sea may have been possible, such a route appears an unlikely choice for a Pleistocene gateway leaving only the Levantine route across Sinai as a plausible way out of or into Africa.